As anticipated by us as early as the 20th of July, the Real Madrid 18-19 third kit was released on August 6. 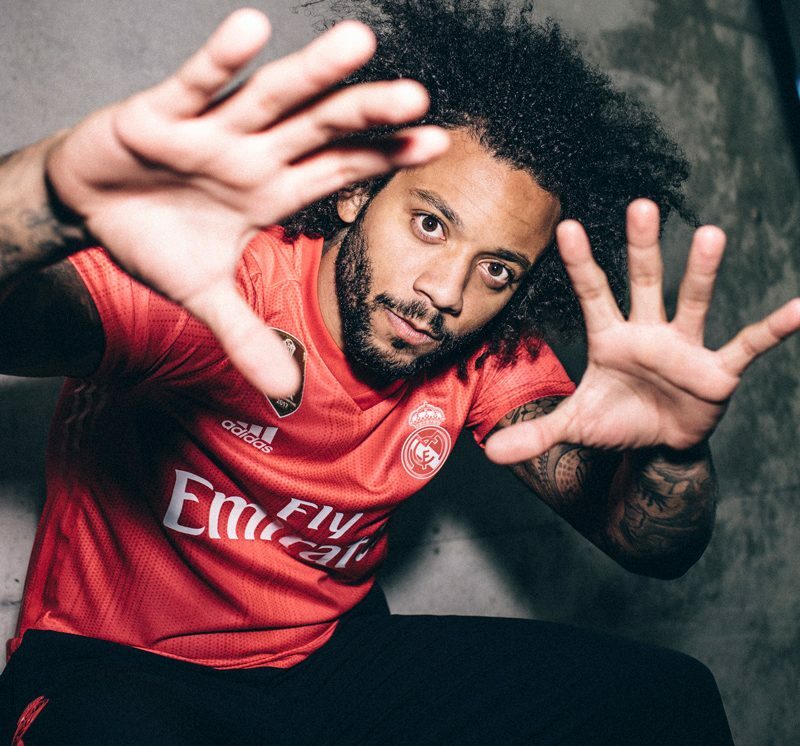 The new Adidas Real Madrid 2018-2019 third kit introduces a bright and eye-catching look, created as part of the 3 Stripes’ ongoing collaboration with Parley, a company that specializes in the recycling of ocean waste. 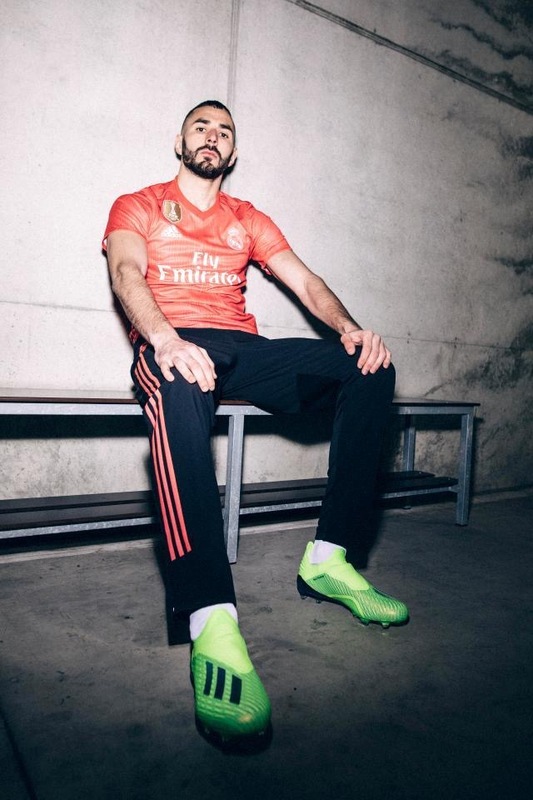 The Real Madrid 2018-2019 third shirt has a very bright red base color and combines it with a subtle all-over graphic print, one that’s actually identical to the one used on the Manchester united third kit, and white logos. These logos include a monochromatic club crest, something that’s fairly usual for Adidas in general and Real Madrid in particular. A simple v-collar completes the look of the Adidas Real Madrid 2018-19 third jersey alongside a ‘For the Oceans’ inner neck tape and the Adidas x Parley jock tag on the lower left. Red shorts and socks complement the Real Madrid 18-19 third jersey. Real Madrid’s 2018-19 third uniform is not the first in the club history to be red. In 2011, Real Madrid already received an all-new red jersey from Adidas in 2011, which was heavily criticized by many club supporters back then.